Goals motivate you, get you organized, and create an opportunity for measurable growth. We can apply this concept to all areas – including our child’s education. 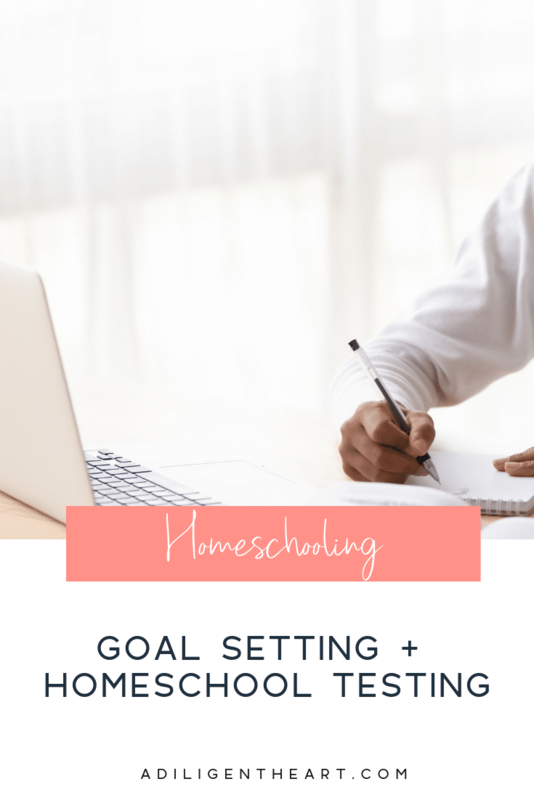 Setting goals in your homeschool is critical to success and progression. 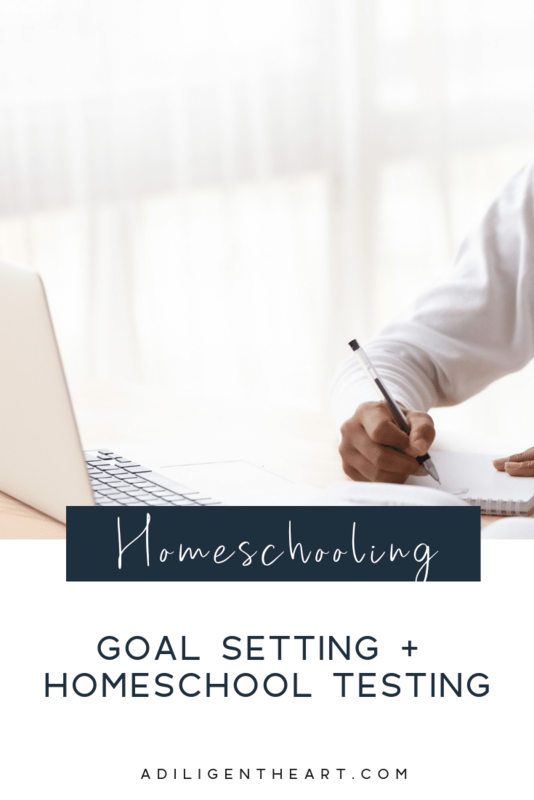 Without goals, you may not start off where you should – meaning, you may start off further ahead – thus creating unnecessary stress in your child’s learning process, or you may start off too far behind – thus not challenging your child the way they are prepared to be challenged. The best way to begin creating goals is to determine where you are right now. Right? We do this in everything. When we are getting ready to start a new workout regimen we evaluate our current state of physical strength and endurance. And with this information, we are able to great a game plan to move forward in our journey. we evaluate what we have to work with and what we have to help us get our cleaning frenzy on. This same process can be applied to all things, even education. 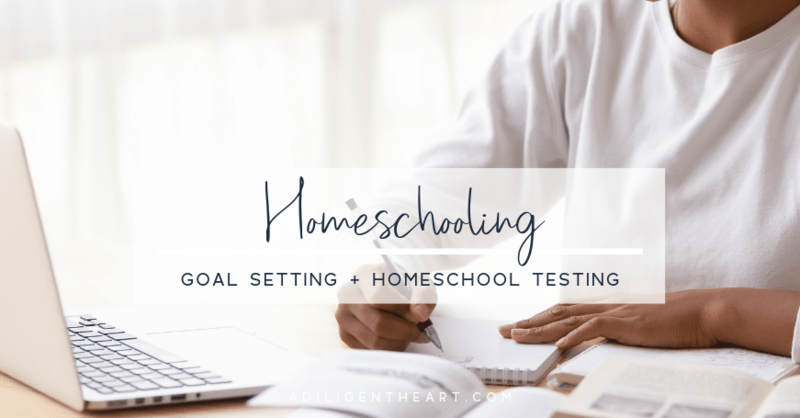 When it comes to homeschooling, homeschool testing is going to give you the tools you need to create an effective game plan for your school year. This is essential to ensure you aren’t wasting your time in either direction – teaching material that is too complex or teaching material that is too easy. you are new to homeschooling and want to be sure you start your child off at the level they are at. In full disclosure, I was compensated for my time to write this post and given free access to the testing service. In no way does this sway my opinions expressed. So, how do you find a place to administer a reliable test that will help you assess where your children are at? That’s where Affordable Homeschool Testing Services comes into the picture. Affordable Homeschool Testing Services (AHTS) is administered by them, through their online homeschool testing platform – in the comfort of your own space. You can not help your child through the process – doing this can distort the results of the tests. My kids were tested in Reading, Language, and Math. I find these to be the most important subjects in a child’s education. They build the foundation upon which they can stack. If a person has a weakness in Reading, Language, or Math are – they struggle massively in all areas of their education. Testing with Affordable Tests offers a strength-maker of your child for you, which in turn allows you to make informed goals, and plan future lessons in a way that will be truly beneficial to the child. The tests are not timed and they aren’t graded on the amount of time it takes them. You’ll get immediate results, but the detailed results will hit your inbox by Friday of that week. I just loved not only seeing my kids results but also seeing where they fall within the expected range. All three of my kids scored exactly as I suspected or a little higher. As a mom, we always have those insecurities and concerns, that come from the best place of our heart, that our kid’s education is on the right track. Having these results in hand have reinforced my confidence along this homeschool journey. As a homeschool mom of over 10 years now, I highly suggest NWEA MAP Growth Testing Services (BOOK HERE). Even if I wasn’t homeschooling – I would want to do this testing with my kids. Here’s the bare bones answer to what NWEA MAP Growth is. Sometimes, it’s just nice to have this straight forward answer outlining exactly what something is. MAP® GrowthTM is a nationally-normed interim assessment by NWEA® used in many public schools and now available to the homeschool families. This computer-adaptive test adjusts to your child’s performance as they take the test, whether they are working on, above, or below grade level. Because MAP Growth is tailored to your child’s learning level, it can precisely measure their academic performance and track growth efficiently. This is what I love about this test. It’s a genuine assessment as to where my children are, and where they are ready to go in their learning journey. This was my first experience with testing on this level. In our state, standardized tests are not mandatory. But, this process was such a great one all around – accessible, thorough, and informational. I plan to test my kids annually from here on out. If you’ve ever wanted to have your child tested and have wondered about an Online Homeschool Testing service – check out Affordable Homeschool Testing Services. Enter the giveaway below for a chance to get all your kiddos tested through Affordable Homeschool Testing Services!